Any Type of Noodles. I prefer elbow but any will do. Seasonings of choice. I use Salt, Pepper, Garlic Powder, Onion Powder. 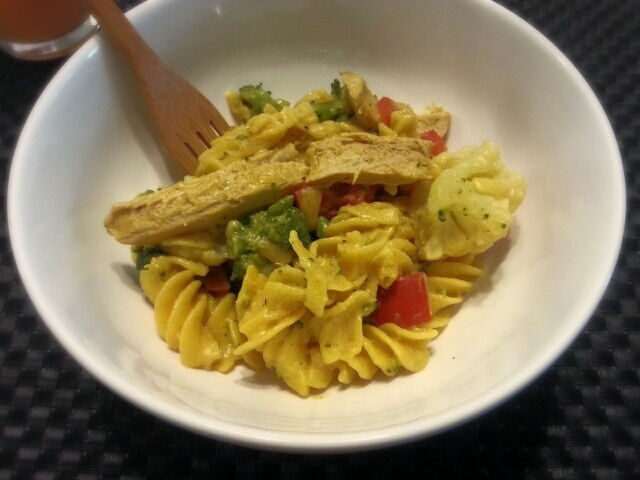 Cook pasta. Drain. Return to pot. Use small sauce pot. Turn heat on low (very low). Add Flour & Nutritional Yeast into pot. Whisk together. Add 1C. Water, whisk until no lumps. Let Sauce thicken, while slowly whisking. Making sure it doesn’t get too thick or clumpy. Once Sauce is getting harder to whisk, add rest of 1/3C Water. Whisk until Sauce is even and smooth, with a good consistency. Add Spices and whisk all together. Combine Veggies & Sauce to the pot with noodles. Stir. and Enjoy!